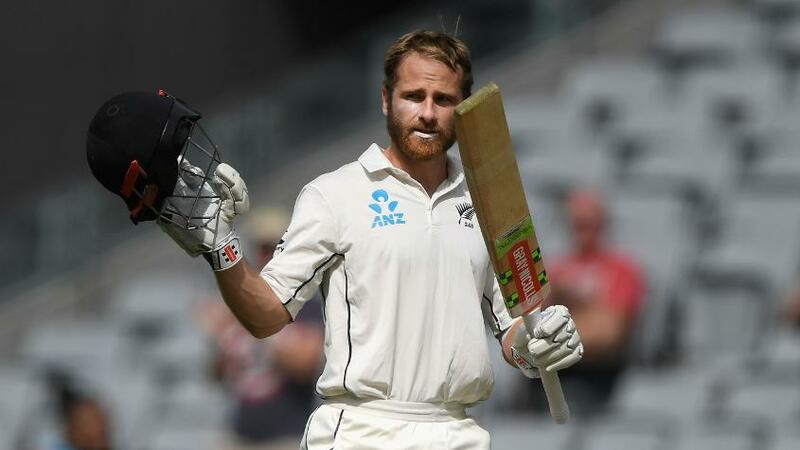 Kane Williamson, the New Zealand captain, topped 10,000 first-class runs as he brought the curtains down on his Yorkshire stint for the ongoing county season. Williamson ticked off his latest batting milestone with a composed 51 in Yorkshire's defeat to Somerset. The match was Williamson's 131st in first-class cricket, and he's now reached 10,039 runs at an impressive average of 48.03. Sixty-five of those matches have been Tests, in which he boasts an even better average of 50.35. In the MRF Tyres ICC Test Player Rankings for batsmen, Williamson is placed at No.3 behind only Virat Kohli and Steve Smith. Williamson played three first-class and 10 Twenty20 matches for Yorkshire but will now leave to rest ahead of a busy international season, including an away tour of the United Arab Emirates to play Pakistan, followed by home series against Sri Lanka, India and Bangladesh. In the three long-form matches, he scored 218 runs at 36.33, while scoring 280 runs in the shortest format at a strike rate of 148. Following a short break, Williamson will meet new New Zealand coach Gary Stead, and join his teammates for a pre-tour preparation camp in Lincoln between September 26 and 28. New Zealand's series against Pakistan starts late in October, and will feature three T20 Internationals, three one-day internationals and three Tests. Yorkshire will have Williamson's compatriot Jeet Raval replace him as the overseas professional, and Williamson is confident that the opener will succeed in his maiden county stint: "It's a newish experience, but with his technique and patience, I certainly hope he does, and expect him to do, a really good job at the top of the order."